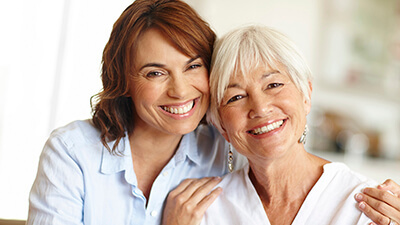 Periodontal, gum, disease is one of the most common oral health concerns, effecting more than 50% of US adults. This disease begins as mild discomfort and bleeding in the gum tissue caused by the buildup of plaque and tartar at the gum line. This mild form of gum disease, known as gingivitis, is most often treated with more frequent professional cleanings at Campbell & Schmidt Cosmetic & Family Dentistry. However, those patients with more severe gum disease, periodontitis, may be in need of more advanced treatments. Contact our team to find out more about our advanced periodontal therapies or schedule an appointment today. Scaling and root planing are most often used in combination as a first line of treatment for periodontitis. Scaling is the removal of damaged tissue, plaque, and tartar below the gum line, and root planing is the smoothing of the root structure to prevent future buildup. Traditionally, scaling and root planing procedures were completed using a scalpel and stitches, but Drs. Campbell and Schmidt use the Periolase soft tissue laser to quickly and effectively remove damaged tissue and plaque buildup, smooth the tooth roots, and simultaneously reduce bleeding and promote faster healing without the need for stitches in most cases. Bacteria in the mouth take in nutrients from the foods we consume, and excrete a sticky, acidic biofilm, plaque. Reducing the amount of bacteria in the mouth is an effective way of reducing the production of plaque. Topical antibiotic therapy may be recommended to keep bacteria levels low, allowing the gums to heal and reducing the risk for re-occurrence of gum disease. 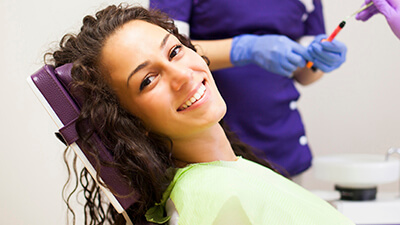 The LANAP procedure is used to help patients fully restore their oral health following periodontal disease. 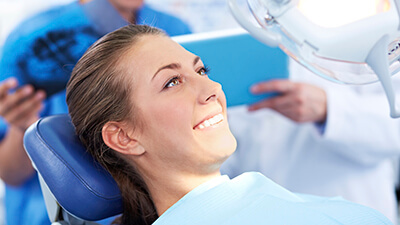 Maintenance procedures like scaling and root planing remove the infected or damaged tissue, but in some cases, patients never experience a full restoration of the lost gum and bone tissue that supports their teeth. This lost tissue creates deep pockets between teeth and gums, exposing patients to further plaque and tartar buildup and reinfection. 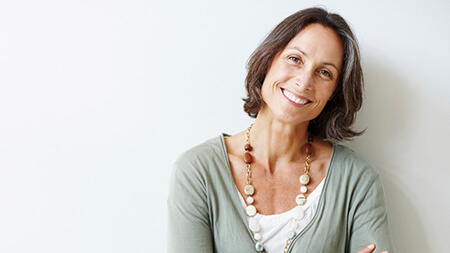 LANAP is the only treatment option that promotes the reattachment of gum tissue and regrowth of lost supportive (alveolar) bone structure significantly reducing the likelihood that patients will experience recurrence of periodontal disease. We can reduce the need for gum disease surgery -- even in advanced cases -- with Perio Protect Perio Trays. 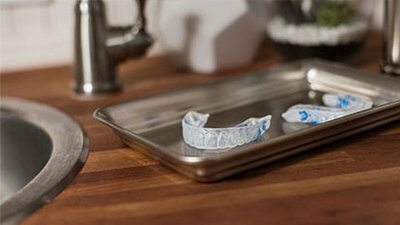 Custom-fitted to each patient, the trays contour to the shape of your teeth and gums to administer the medication directly beneath the gums and right into the pockets of infection. It’s more comfortable than surgery, and often more effective than using handheld tools to treat the infection. Perio Protect can also leave you with whiter teeth and fresher breath, for an all around happier, healthier smile.